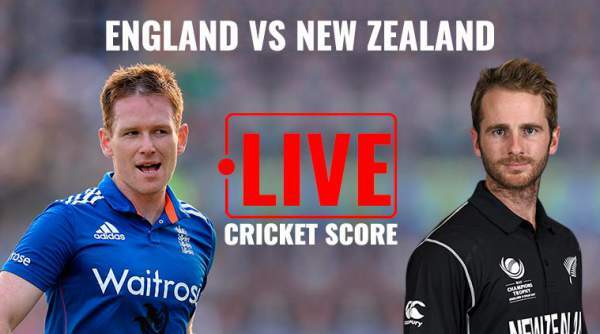 Live streaming of England vs New Zealand and NZ v ENG live cricket score of the ongoing ICC Champions Trophy 2017 to watch online is here. If English team happens to win today’s game at Sophia Gardens, they will seal their place in the semi-final round. If the Kiwis win the match, they will stand in a commanding position and will pass the group stages with a little more ease. For today, New Zealand has won the toss and elected to bowl first starting at 3 pm IST. In the previous matches, England defeated Bangladesh by 8 wickets while NZ couldn’t win against Australia due to a washout. Now, the Kiwis would go for 2 full points by winning it. In India, the fans can watch the ICC Champions Trophy 2017 online on Hotstar and StarSports.com while the same will be broadcast on TV on Star Sports India. The live stream will be available on both mobile and computer. The list of channels to catch the live updates of ENG vs NZ is available below.